Ahead of the 2017-18 season, Wingless Sprints Queensland is excited to announce that Ian Boettcher Race Parts has come on board as the naming-right’s sponsor for this season’s Club Championship. Continuing their relationship with the club off the back of sponsoring what was a successful 2016-17 Easter Trail in April, this season’s Club Championship will certainly be bolstered by the support from Ian Boettcher Race Parts through offering a Maxim chassis kit as the prize for the overall championship winner, and the club are pleased to have the prominent speedway company on side. “Ian Boettcher Race Parts joining our team for the 2017-18 season will undoubtedly advance the Wingless Sprints class throughout the state of Queensland,” Wingless Sprints Queensland vice president Brian Dixon commented. The team at Ian Boettcher Race Parts are equally as happy to be able to offer their support to Wingless Sprints Queensland and continue what is a very positive relationship with the club. “Wingless Sprints is a very popular and competitive class throughout Queensland and we’re extremely pleased to be associated with such a professional and dedicated club,” said Ian Boettcher Race Parts business manager Nathan Knight. Based in Ipswich, Queensland, Ian Boettcher Race Parts is one of the country’s leading suppliers of speedway chassis, spare parts, tools, apparel and much more. Built by racers for racers, their professional team is dedicated to delivering clients with exceptional service every time. To find out more about Ian Boettcher Race Parts, visit their website at www.ianboettcherraceparts.com.au, LIKE them on Facebook by searching Ian Boettcher Race Parts or FOLLOW them on Twitter by searching @IanBoettcherRP. The opening Ian Boettcher Race Parts Club Championship round will be held at Brisbane’s Archerfield Speedway on the Saturday night of September 23. 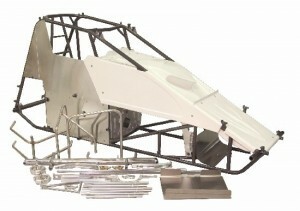 For more information on Wingless Sprints Queensland, contact Brad Keiler on 0422 393 336 or visit their website at www.awsr.com.au/qld. You can also LIKE them on Facebook by searching Wingless Sprints Qld.